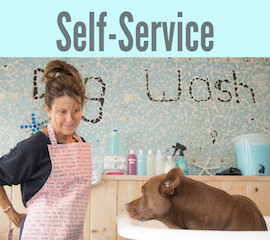 Dirty Dog Wash is a Self & Full Service dog wash located at the corner of Main Street and Pecan in downtown Huntington Beach just blocks away from Huntington Dog Beach. 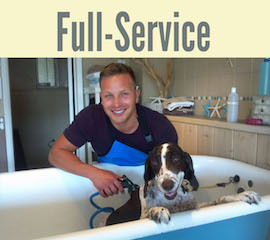 We supply everything you need to properly clean and pamper your pooch in an upbeat atmosphere with a knowledgeable and friendly staff. Our raised claw foot tubs of various heights will accomodate dogs of all shapes and sizes and the best part is . . . we clean up all the mess! We try our best to turn a not-so-lovely chore in to a fun, social, hassle free experience. Make an appointment and we will take care of the dirty work . 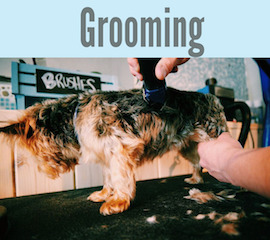 . . even full service grooming!